Hi friends, Are you making these two most common mistakes made on a vegan or vegetarian diet? Could they be inhibiting your weight loss and/or healthy lifestyle goals? Read on to learn what these mistakes are. Today I want to share a video by one of the authors of The China Study where he talks about the two most common mistakes made on a Whole Foods Plant Based diet. Earlier this year I took a course through eCornell by T. Colin Campbell and his son Thomas Campbell. And it really inspired me to eat less meat and move closer towards adopting a Whole Foods Plant Based (WFPB) diet. In case you’re wondering what this WFPB diet is, it’s basically a healthy vegan diet. Why not just say vegan? Because you can eat vegan and still eat as much processed food as you’d like. Whole Foods Plant Based is more like a clean eating version of veganism. I could talk more about this, but I want to keep this post on topic. Here’s the video by Dr. Thomas Campbell. It’s short and sweet at less than five minutes. You can read more about which foods are great and not-so-great on a Whole Foods, Plant Based diet here on the T. Colin Campbell Nutrition Studies Whole Foods, Plant Based Guide. And here are the two mistakes Dr. Campbell discusses in the video. They do not eat enough starch: “they believe potatoes, corn, and rice will make them fat.” Dr. Campbell said not having a healthy starch (like a leafy salad) is not sustainable. They do not eat enough non-starchy fruits and vegetables. Although starch is a critical part, without having non-starchy foods too, you can easily overeat and not enjoy maximum healthy benefits. He offers additional advice beyond this, so def give the video a watch. It’s short and to the point. Personally, I feel like I’ve tried both of these extremes. Thankfully not for long periods of time but enough for me to gravitate towards the recommended style of eating. Without much starch, a bowl of veggies never seems to keep me full. And with only starch, I seem to have the same problem. Only the balance between the two seems to keep me satiated. Not to mention, I’ve learned that I’m missing out on the opportunity to nourish my body with wonderful vitamins and nutrients by not diversifying what I’m eating. As my dad says, diversity is the key. Though I do feel like I’ve stumbled into a close format of this approach to meals, I like Dr. Campbell’s simple recommendation: 50/50. As long as you know the difference between starchy and non-starchy foods, this should be pretty easy to adopt. And if you’re not sure, I linked to a WFPB Guide above. When the email about this came through (I get newsletters with this content) and I watched the video, I was actually really happy. 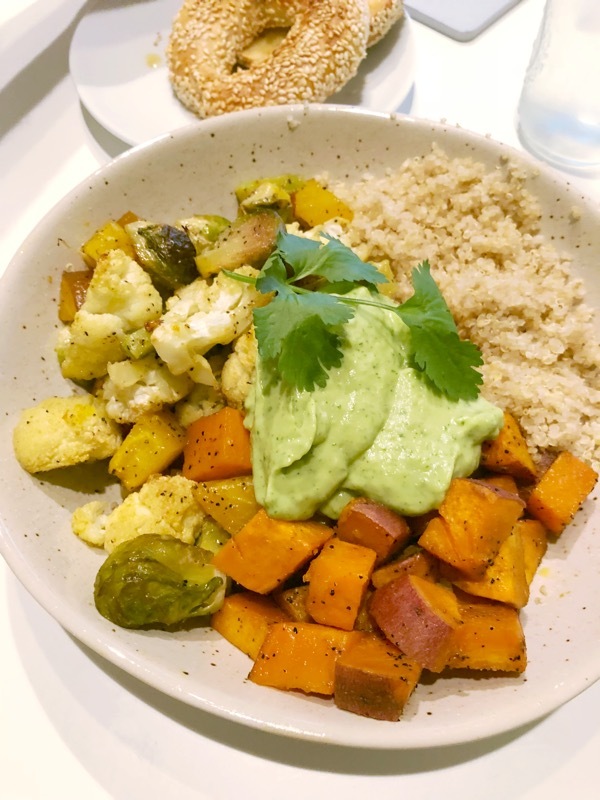 Literally the night before, I’d eaten a nearly perfect 50/50 bowl of roasted veggies and quinoa. Okay, so maybe it’s not exactly 50/50. But if I’m being honest, my vegan/vegetarian/WFPB style dinners are usually heavier on the non-starchy foods. If I had to guess, I’d say it’s more like 1/3 starchy foods to 2/3 non-starchy foods. This was one of the first times I counted sweet potato as part of my “veg”, which ended up making the total breakdown nearly 50/50. And even though I didn’t have any meat in my meal (and meat used to be a required component for me back in the day), I felt more than satiated throughout the night on this meatless meal. As I’m eating more and more WFPB, I’m hoping to have more recipes to share in this theme. For now, here are some that already fit the bill. 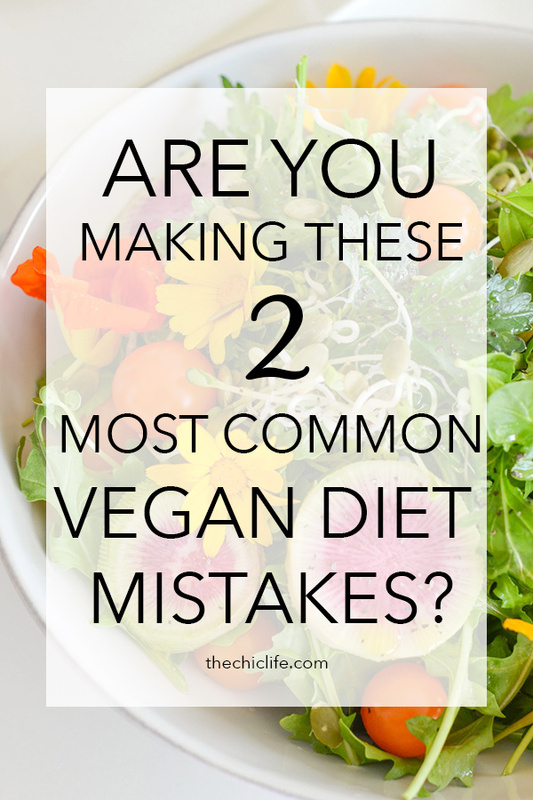 Thanks for reading this post asking Are You Making These Two Most Common Mistakes Made on a Vegan or Vegetarian Diet? I hope you found this helpful. If you did, be sure to share it with someone who would also enjoy this information. Or feel free to leave a comment below. I think I’ve mentioned a few times that I want to talk more about Health, Wellness, and Nutrition more, so let’s make this happen!